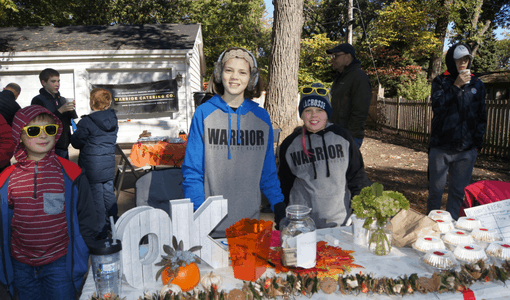 An annual event where neighborhood kids work together to raise funds to help an inspiring group of Warriors at Opportunity Knocks. 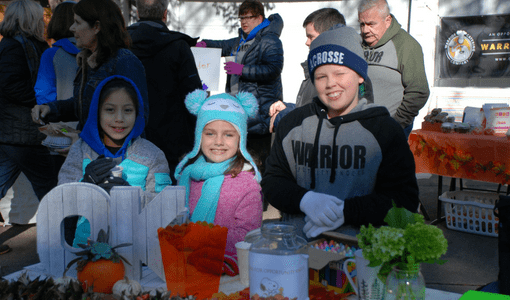 Kids of all ages plan and organize the event and often show up with their piggy bank and tooth fairy money to donate to the cause. 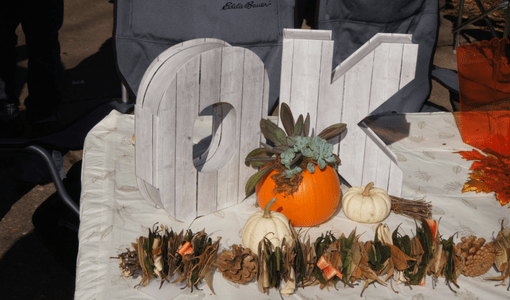 This year’s Knocktoberfest will feature new Oktoberfest food offerings from the OK enterprise, the Warrior Catering Company, and college football! Stop by for warm apple cider and other fall treats or stick around and enjoy all there is to offer! Can't stop by? You can still get involved! If you can’t make it to the event, donations to Knocktoberfest can be made here! All donations are tax-deductible and go toward supporting Opportunity Knocks. General operations and the development and execution of programming are largely funded by the generosity of individual donors. Your donation helps Opportunity Knocks continue to engage young people who have developmental disabilities.Thank you for your support! Six years ago an 8-year-old named Kate asked if she could have a lemonade stand to raise money for Opportunity Knocks. She met with OK founders Mike & Phil Carmody to discuss her idea, and a friendship and fundraiser were born. 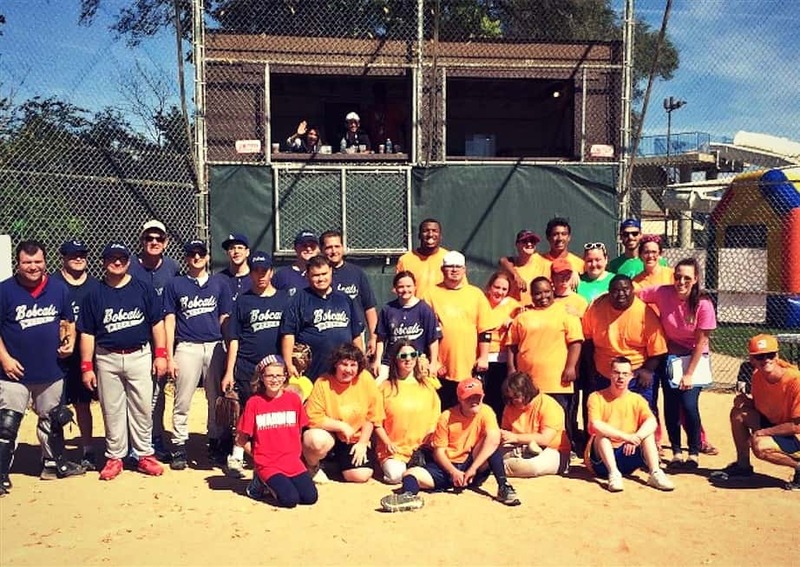 Opportunity Knocks is a nonprofit serving adults with developmental disabilities and their participants are known as warriors for their strength and perseverance. 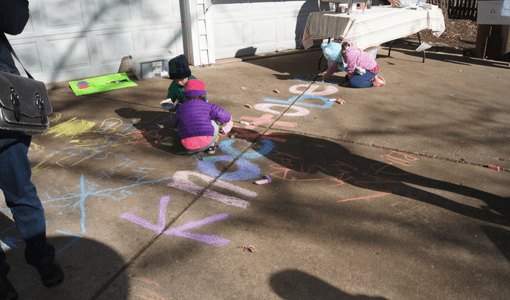 Kate hoped to raise $50 and ended up raising over $500 with the help of family, neighbors, friends and one very generous community. 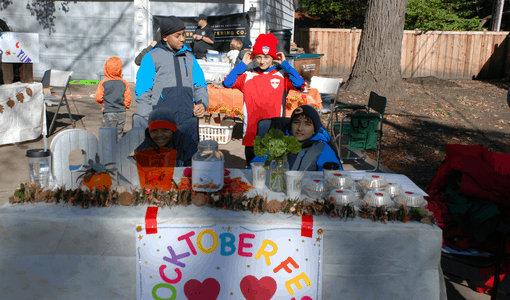 The August lemonade stand eventually became an autumn cider stand and more kids and families joined forces to grow “Knocktoberfest.” The kids grow the event each year but the constant is the generous community and small businesses that come out to support the kids’ efforts. Knocktoberfest volunteers are fondly called “Knockstars” and they range in age from babies to high schoolers. The babies UP the Knockstars cute quotient and the kids work hard organizing, baking, decorating and fundraising. Last year the kids raised over $11,000 from online donors and cider stand donation jars. Families bake treats, a great aunt ships handmade doll clothes to sell from Utah and homemade Italian bread sells out in minutes. Piggy bank jars are emptied and we raise unbelievable sums because of this dedicated group of kids. 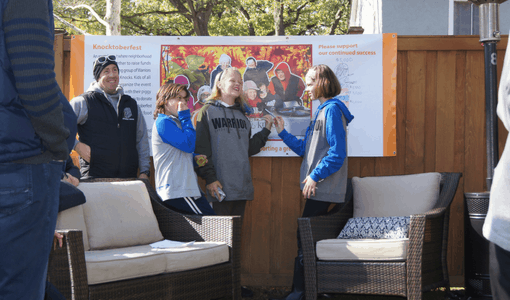 Knocktoberfest has been held annually since 2013. 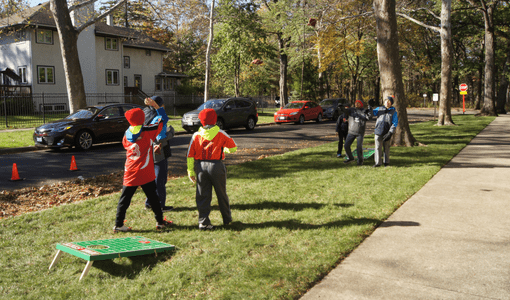 Each year the event has attracted more friends, neighbors, families, and supporters to Opportunity Knocks. These young people have raised awareness and grown the OK community in a very significant way. Both of which are critical to sustaining and growing the Warrior Mission. Then there is the clear impact of the funds raised! 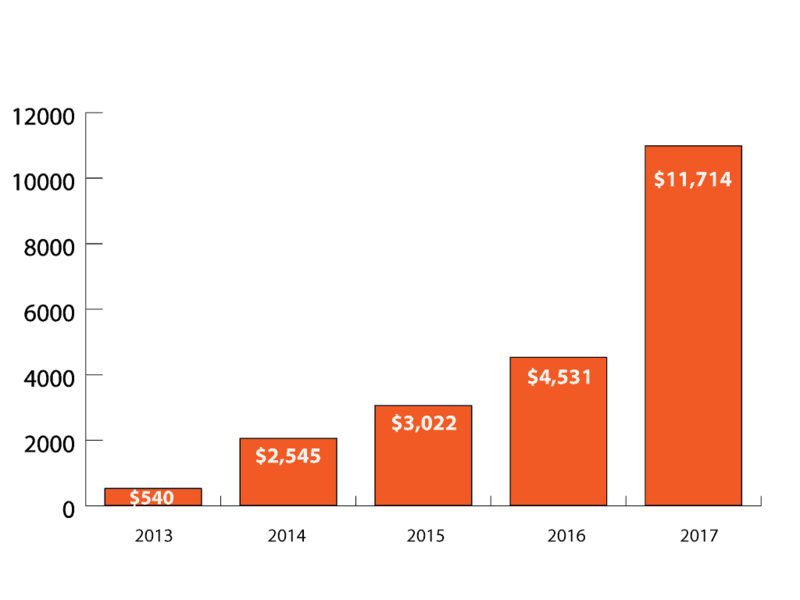 Seeing it march out in a visual graph speaks volumes to the impressive work they have done. To date, these young activist-advocates that we endearingly call the Knockstars has raised more than $22,000! Knocktoberfest is so important to me. It has become a big part of my life and I love the warriors. I aspire to be as kind and brave as they are. Opportunity Knocks has made me a better person, and I think it’s amazing how the warriors give back to our community. The warriors are the nicest and hardest working people I know, which is why it would mean so much to not only me, but to Opportunity Knocks to support our fundraiser. I love being a part of the warrior community. I love meeting new people from Opportunity Knocks from year to year. It makes me feel good when we raise money through Knocktoberfest for the Warriors because I know the money raised helps our warrior friends be more successful. Knocktoberfest is very important to me, it has become a part of my life to give and to help others. I also hope to encourage others to do the same.